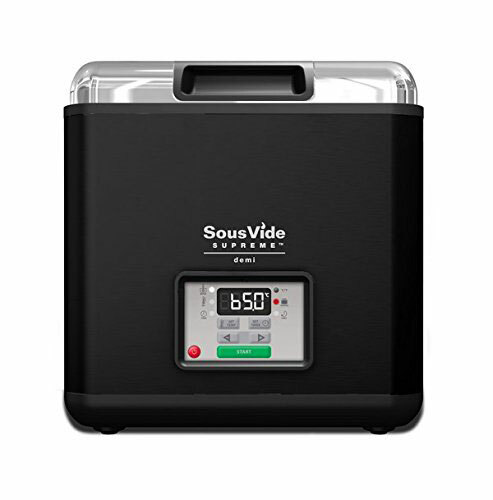 Meet the Sous Vide Supreme Demi Water Oven: an elegant little machine that lets you prepare gourmet meals like a pro. It doesn’t make much noise and keeps the temperature within one degree of your setting. This water oven holds 8.7 liters and can hold temperature for hours or days. This sleek machine had adjustable temperature range of 86 to 210F. It has a small footprint and an energy efficient design.